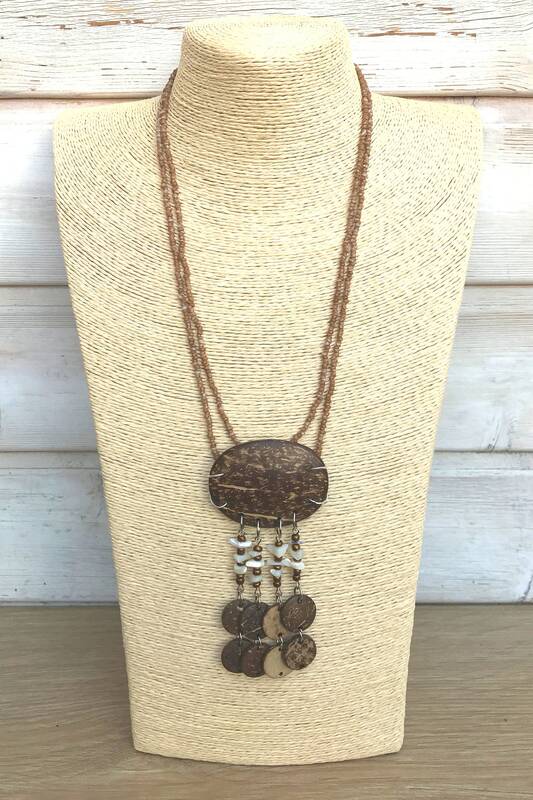 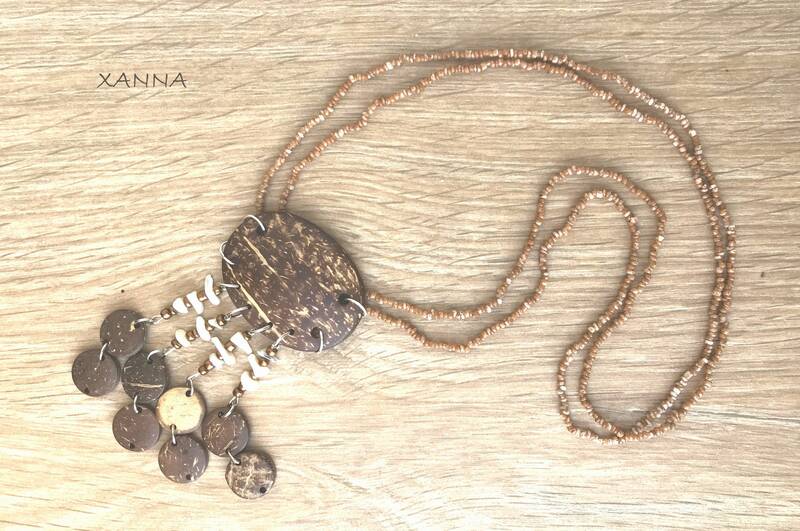 Double Necklace "CHIC & LOVE X"
Grains of natural brown jasper, with ethnic pendant of coconut wood and nacre. 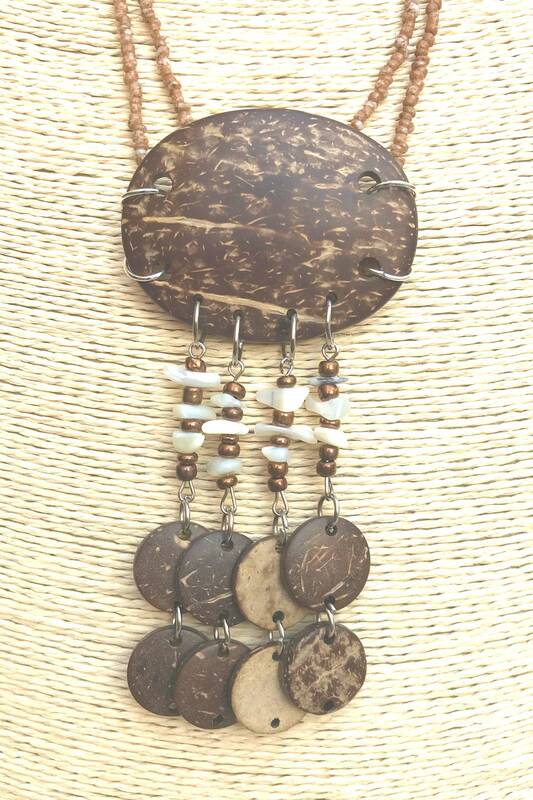 The American Indians used the Jasper in ceremonies to attract the rain and for the divination, the term Jasper comes from the Orient and in antiquity it was synonymous of quartz, in ancient Egypt they were used as tallandolos amulets in the form of beetle, in the Middle Ages was considered the stone of the victors, who embedded in their swords, as was the case of Sigifrido who wore a jasper in the hilt of Balmung. 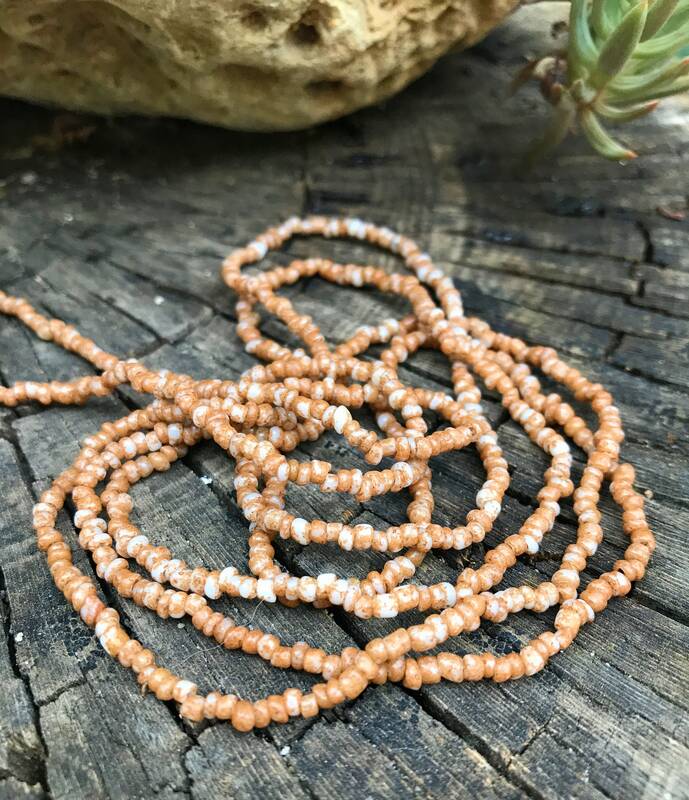 Brown Jasper is said to be connected to the Earth, which gives you ecological awareness, facilitates deep meditation, enhances organizational capacity and allows you to complete projects.